Rapper and spoken word poet Curtismith (aka Mito Fabie) has teamed up with the Payatas Orione Foundation for a fundraiser, the Ideal Payatas Feeding Program. Dedicated to empower and uplift the lives of the poor, to break the cycle of poverty, the organization has been helping underprivileged children and families for 10 years now. 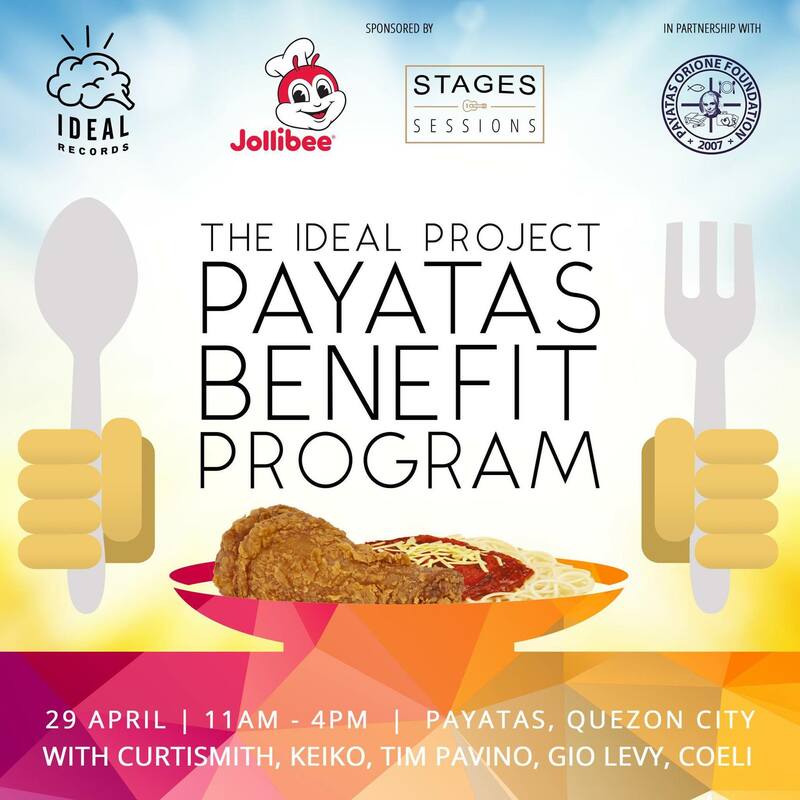 The Ideal Payatas Feeding Program is happening on April 29, Saturday and will be a full-day affair filled with music and games, to promote unity regardless of social background. 700 children — 400 undernourished kids and 300 scholar students — will be taking part in the event. Musician volunteers Keiko Necessario, Tim Pavino and Gio Levy will also be performing for both the children and volunteers. Interested advocates may volunteer with a registration fee of 500 PHP, which is inclusive of transport to and from the feeding location, meals for the day, and funds to be given to feed the undernourished and to help send the children to school. Fabie assures that 100% of the profits will be donated to children, with full transparency on how the collected funds will be spent. Follow the event's Facebook page for regular updates.